Robert O. Agbede, Pittsburgh, Pa.
Daniel O. Aleshire, Pittsburgh, Pa.
William G. Bensur Jr., CFA, Pittsburgh, Pa.
William Bevan III, Allison Park, Pa.
Eliza Smith Brown, Pittsburgh, Pa.
Harold (Hal) Burlingame, Chatham, N.J. The Rev. Dr. Darryl T. Canady, North Huntingdon, Pa. The Rev. Nathan Carlson '11, Largo, Fla. The Rev. Nancy Chalfant-Walker ’02, Pittsburgh, Pa.
Paul H. Dimmick, Atlanta, Ga.
Mary Jo Dively, Pittsburgh, Pa. The Rev. Dr. David Esterline, Pittsburgh, Pa.
Dr. K. James Evans, Bradford, Pa. The Rev. Patrice L. Fowler-Searcy ’13, Pittsburgh, Pa.
James M. Gockley, Pittsburgh, Pa.
David Greusel, Kansas City, Mo. Linda Varrenti Hernandez, Pittsburgh, Pa.
Of Counsel, Dickie, McCamey and Chilcote, P.C. Dr. W. Allen Hogge ’08, Williamsburg, Va. The Rev. Dr. Larry P. Homitsky, Pittsburgh, Pa. The Rev. Dr. David R. Hosick ’76, Tryon, N.C.
J. Stephen Lee, Pittsburgh, Pa. The Rev. Dr. Nancy E. Lowmaster ’10, Geneseo, N.Y.
David L. McClenahan, Sewickley, Pa. The Rt. Rev. Dorsey W. M. McConnell, Pittsburgh, Pa. The Rev. 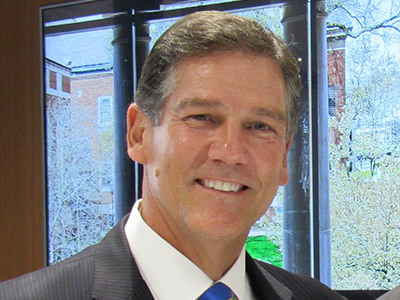 Dr. Donald K. McKim ’74, Germantown, Tenn. The Rev. Cynthia Moore-Koikoi, Cranberry Township, Pa. The Rev. Dr. Kang-Yup Na, New Castle, Pa. The Rev. Dr. Joan B. Prentice '05/'11, Pittsburgh, Pa. The Rev. Darren Rogers ’17, Ambridge, Pa. The Rev. John T. Shaver ’98, Carlsbad, Calif.
John G. Shortridge, Pittsburgh, Pa. Retired, Attorney, U.S. Steel Corp. The Rev. Dr. Sheldon W. Sorge, Carnegie, Pa.
Joanne E. Spence ’18, Pittsburgh, Pa.
Gregory R. Spencer, Pittsburgh, Pa. The Rev. Dr. Susan E. Vande Kappelle ’95, Washington, Pa.
Edwin V. Clarke Jr., Sewickley, Pa.
Jerry E. Dempsey, Greenville, S.C. Earnest J. Edwards, Dumfries, Va.
Wendy Myers Heinz ’88, Mayville, N.Y.
Henry C. Herchenroether Jr., Cranberry Township, Pa.
John "Jack" S. Isherwood, Butler, Pa.
William N. Jackson ’61, Mayville, N.Y.
Sandy Lamb, New York, N.Y.
Myles W. MacDonald ’55, Port Charlotte, Fla.
Robert H. Meneilly ’47, Prairie Village, Kan.
Robert K. Wagner, Pittsburgh, Pa.
Alfred W. Wishart Jr., Vero Beach, Fla.